It’s happened to us more than once: we find a USB storage device sitting around somewhere and can’t remember where it came from or what’s on it. Sure, we could just plug it into a computer and check out the contents, but the MemoMe concept seems way more fun. 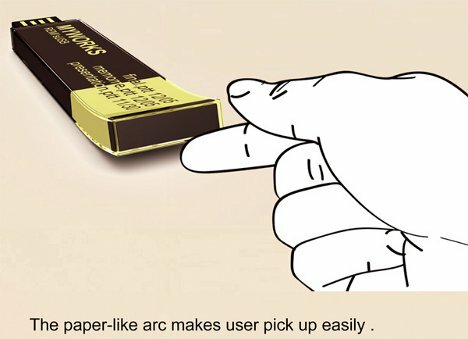 It’s a USB memory stick that includes a neat e-paper display which will tell you at a glance what files are stored on it. 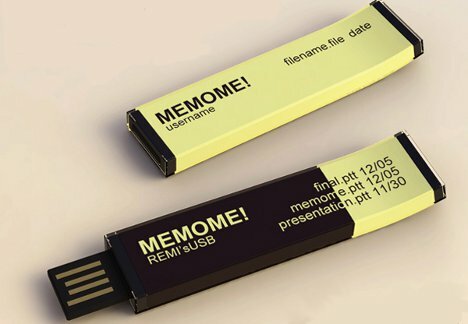 The MemoMe USB drive is a concept designed by Jui-Min Huang for the 2012 iF Design Talents competition. It works mostly like any other USB drive to store files, but its e-paper display shows both a title (chosen by you) and the last three files loaded onto the drive. You could keep different drives for different purposes and tell which is which at a glance. The e-paper technology means that the display stays on without using any power, so you can count on being able to read the drive’s contents no matter how long it sits unused in a drawer. 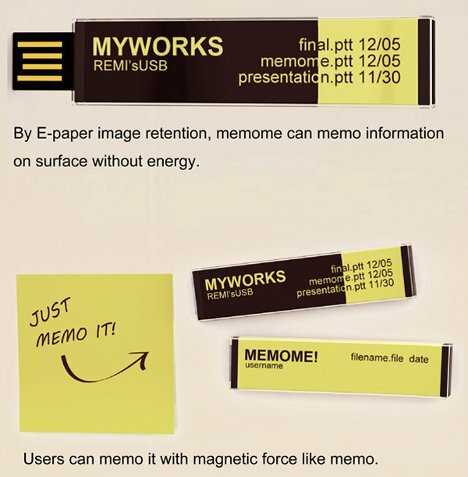 This ability makes the USB drive sort of like a high-tech memo pad, capable of hanging onto information long-term.